With more and more of us spending an increasing amount of time online and on our computers, it’s important that your laptop or PC is fully kitted out with everything you need for it to perform quickly, efficiently, and to optimum capacity. We offer an extensive range of mice to meet all your computing needs, including Advent, AFX, Kensington, Mad Catz, Microsoft, and Logitech mice, as well as our HP mice range. 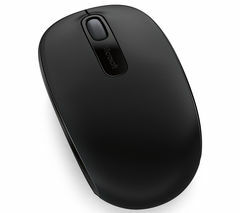 Our range of Microsoft mice includes a whole host of different features and functions, so there’s sure to be a Microsoft mouse to meet your needs. From the Microsoft Sculpt Mobile Mouse with its cutting edge design and pinpoint accuracy, to the Microsoft 1850 Wireless Mobile Optical Mouse, with its cable-free design and range of bold colours, you can trust us when we say there’s a Microsoft mouse out there for you. So, get ready to point, click, and scroll until your hearts content! 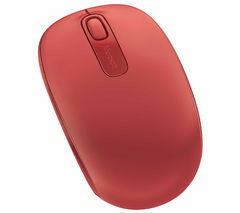 Other features found within the Microsoft mouse range include plug-and-go nano transceivers, wireless connectivity, programmable buttons, scrolling wheels, BlueTrack technology, ergonomic design, and so much more.